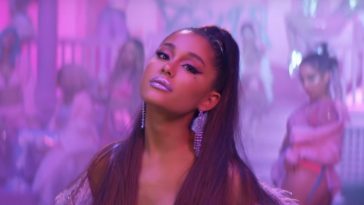 “7 rings” spends a sixth week atop the pop radio chart. Ariana Grande’s “7 rings” again claims #1 on the Mediabase pop radio airplay chart. Played ~16,417 times during the April 7-13 tracking period, “7 rings” extends its reign to six weeks. This week’s count trails last week’s mark by 1,165 spins but keeps “7 rings” ahead of the pack. 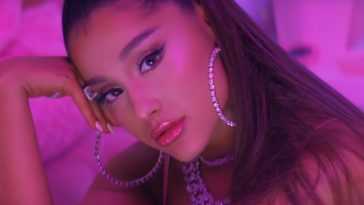 In reaching six weeks at #1, “7 rings” outright ranks as Ariana Grande’s longest-reigning chart-topper. It was previously in a tie with “Side To Side (featuring Nicki Minaj),” which ruled for five weeks in late 2016 and early 2017. Up four places, Jonas Brothers’ “Sucker” grabs #2 on this week’s pop chart. It received ~15,253 spins during the official tracking period (+2,296). Ellie Goulding & Diplo’s “Close To Me” concurrently slips one spot to #3. Stay tuned for more radio updates throughout the day.